BL Drama is a wondrous, welcoming society for anyone who feels drawn to act, sing, write, direct or design. We put on a range of shows each year as well as drama workshops, sketch shows, scratch plays and loads more. Whether you’re a seasoned pro or you’ve never done anything like this before there are so many ways to get involved both on- and offstage. Our home is Laird Hall where we rehearse and perform. BL Drama has been awarded “Best Society of the Year” twice in the last 5 years! This award is nominated by the Barts community and voted for by the BL Board so thank you to all our members and fans, we love you all! Our amazing Zebraphiles (our resident comedy sketch group) also compete in the UH revue where sketch groups from all the London medical schools come together for a comedy battle royale. And in 2017/18 they only went and won it! Our first performance of the year is the Senior Play, where freshers can come along and get a feel for the society. If you like what you see fresher play auditions will be in the week beginning 3rd October, so keep an eye on our social media pages for more details! 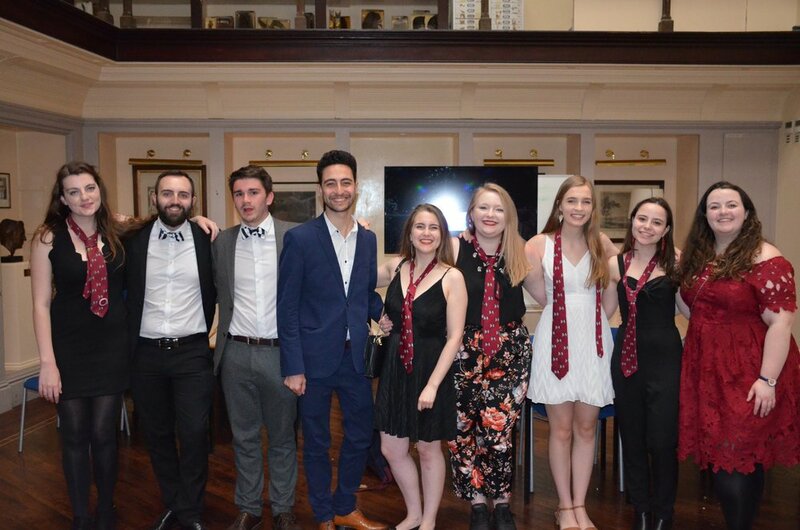 The Zebraphiles are our resident sketch group who put on their own short sketch show in December; plus taking a team of brave individuals to the UH Revue - a comedy competition against all the other medical schools in London! If you fancy a giggle at a few of their sketches,make sure to visit their Facebook Page and YouTube channel. Anyone from the Barts community can get involved in our shows! Just make sure you are part of our facebook groups below to keep up to date with auditions, workshops and calls for our backstage and front of house teams. Outside of rehearsals and shows we love spending far too much time together! Our social secs, Callum and Sam, will be organising bunches of events throughout the year all starting with the traditional Brick Lane curry on 28th September and ending with our spectacular tour (at a secret location…). Even if your role within the society is dedicated audience member you’re more than welcome at our socials, you’ll have a great time at all of them!